Should I Restore My Vintage Bicycle? 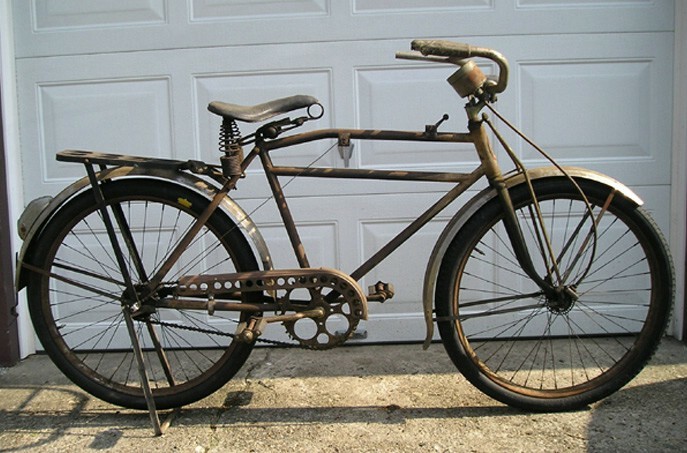 When is a vintage or antique bicycle worth restoring? When is it too “nice” to be restored? These are tough questions, and usually the answer is just a matter of preference, but sometimes it can be about economics. Of course if a bicycle has sentimental value, then the economics of a restoration would be a moot point. In this article, we will take a look at several different bicycles, and answer the question…. should I restore my bicycle? Consider the bicycle pictured above. 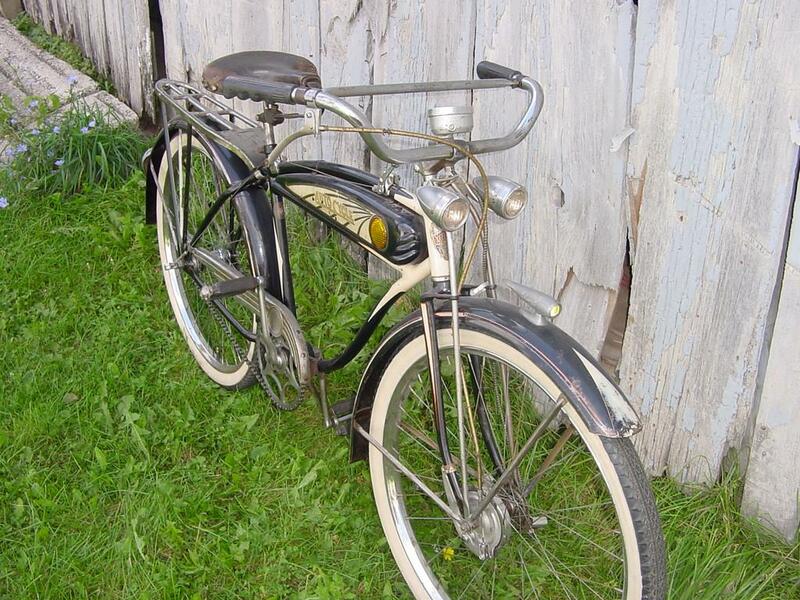 It is a late 1930’s Mercury boys bicycle. This bike was not the most expensive model sold under the Mercury badge this year, but it still sports a tank and rear carrier, and some pretty cool paint. The overall condition of this bike is fair, but at least all of the important (expensive) parts are present. Obviously, this bike would have no appeal to anyone as-is. The chrome is completely shot, and the paint is very thin and mostly surface-rust. If you were to hire a professional to restore this entire bike, you will likely have more into it than it is worth when completed. However, if you do the prep and assembly work yourself and hire out the chrome, paint and seat restoration, you should be OK. If this bike were missing the tank (the most valuable piece on this bike), then it would be difficult to come out on top with this one. Should it be restored? It’s borderline on this one… if you like the bike, go for it! 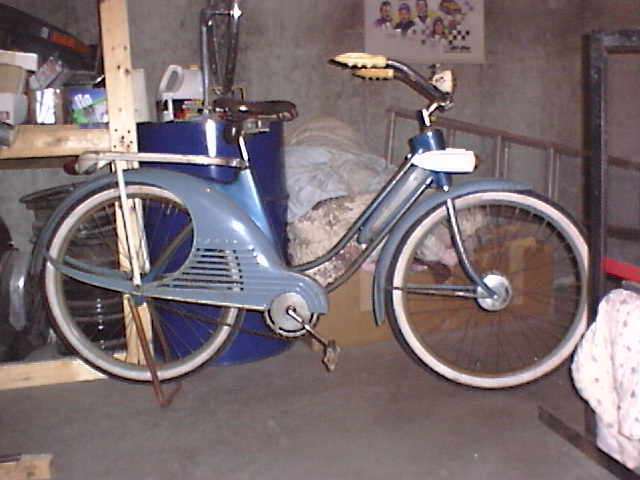 The 1937 Schwinn Autocycle shown above is what would be considered a survivor. The bicycle has all of it’s original paint and accent colors, and even the pinstripes are still visible. The plating, though worn and dull is still original. The bike is very complete and is very desirable in any condition. This bike is a good example of a one that should not be restored. There is a saying among collectors of vintage bicycles… it’s only original once! Some may argue that the bicycle is still more valuable restored and this may even be true… but the cost to restore it would far exceed the increase in value when completed. And we won’t even mention how you’d be lynched by your fellow collectors if you were to restore a rare bike in this condition! The 1940’s Sears J.C. Higgins bicycle shown above is the type of vintage balloon tire bicycle that you might still find at a yard sale these days. 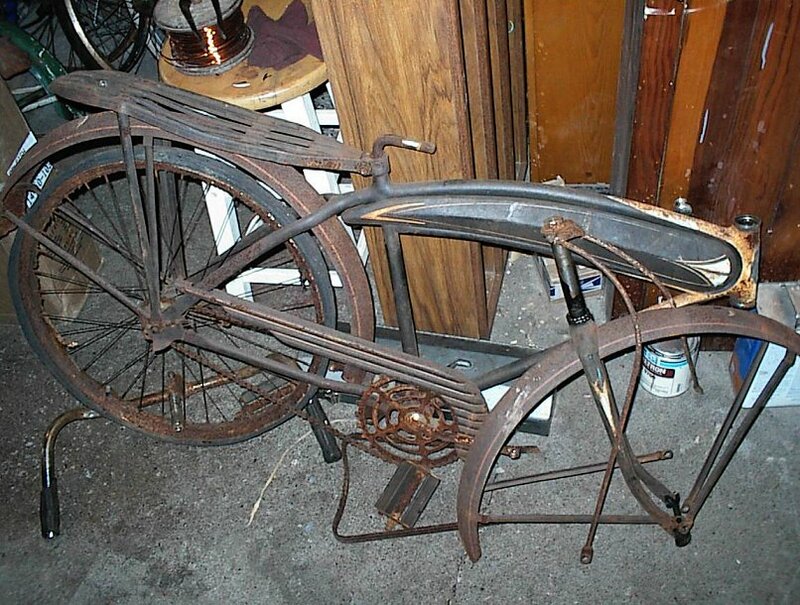 Someone who finds this type of bike may get very excited out their find, thinking they have found a valuable collectors item, and are excited to begin a restoration. Sadly, this bike has very little collector value at all. The bike is a ladies model. Ladies bicycles are just not very desirable to collectors for the same reasons that 4-door cars are of little interest to car collectors. This is a bike that even considering it’s relatively good condition and completeness, does not warrant much more than being cleaned up and made rideable. If you were to invest in a new paint job, you would far exceed the value of the bike. This 1939 Elgin ladies bicycle, known by collectors as the “Miss America” bike is an unusual example of a ladies model that is as desirable as a men’s model. This bike which looks like it may have an amateur restoration started on it, is very complete and would not take much to restore. All the sheet metal appears to be in good shape. Even if some of the paint on this bike is original, it appears that some of it has been re-painted by an amateur at one time, so a complete re-paint would not be out of the question. However, the parts that do not have original paint could be re-painted to original specifications and distressed to match the rest of the bike. This is a technique employed by advanced collectors who want to retain as much originality as they can in a bike, even if part of it is not original. If you wanted to do a complete restoration on this bike, that would be acceptable also. Either way, the end result would be worth more than leaving the bike as-is. This 1930’s Shelby has some cool features. It has a New-Departure 2-speed hub with shifter, Delta Defender tail-light, Stewart-Warner speedometer and stainless steel fenders. This bike most likely did not come with a tank when it was new, but adding one would increase the value and appeal of the bike. The problem is, these bikes are fairly common and the type of fenders they have are extremely difficult to restore if they have any dents, tears or holes. The value of this bike would be primarily in its parts. Sadly, many collectors would part this bike out rather than restore it. Some may keep it as is, but very few would consider a restoration since the value would be eclipsed by the restoration cost by quite a bit. This bike is best left alone and either ridden, or hung on your shop wall to be enjoyed for what it is. 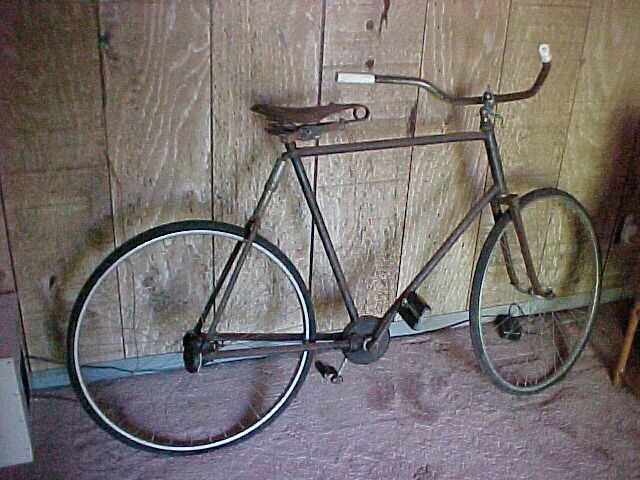 The 1900’s Pierce Chainless bicycle shown above is a very desirable bicycle. Though not exceedingly rare, there is a lot of interest in these bicycles for a few reasons. For bicycle collectors, it is a very well made and highly featured bike with chainless “shaft-drive”, rear “hygenic-cushion” suspension and a leaf-spring front suspension. 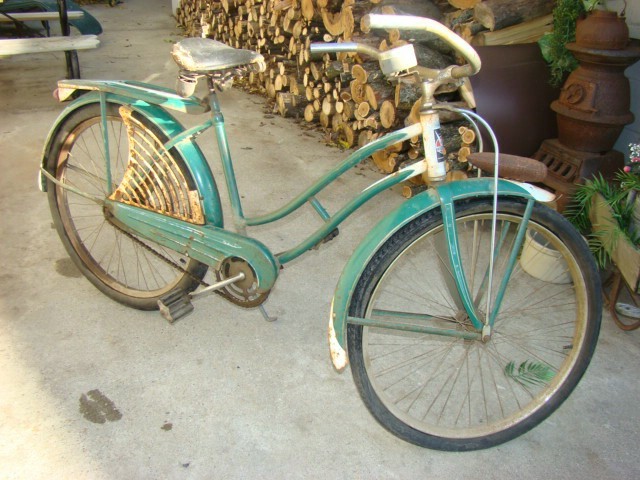 For collectors of Pierce Arrow automobiles, this bike is sought after for its connection to the automobile company, who made these bicycles up through the teens. The bicycle shown is missing most of its original parts, but the value of the completed bike is high enough to justify finding the replacements. The wheels, seat, stem, handlebars and pedals are all much newer replacements that are not appropriate for this bike. This bike is a good example of one that may not be very appealing visually as it is in this condition or even be noticed by the un-trained eye, but when restored it is worth a pretty penny! This bike is definitely worth restoring.